Engage your prospects and advocates with the stunning outlook of your website. Use Smart 1 Sites website builder to recreate your digital presence the smart and easy way. This is your website - it is supposed to be fun not a headache. UI is User Interface for those of you not that "techy". We have an array of themes and widgets available for different businesses and functions. Take full charge of the features available on the builder. NO CHARGE to update your content, build pages, track traffic, manage your form messages, blogging, galleries and more. Your are in control! You can manage your website performance and modify it anytime, anywhere. Smart 1 Sites are foolproof. You can create, modify or style anything you want on your website. Let us help you get on track and get on line. Create your website with easy to use drag ‘n’ drop tool. There are lots of beautiful templates to choose from. Play around the interface with various designs and layouts that fits into your business objectives. It’s your site. Explore it! We have an extensive range of ready-made templates you can customize with your photos. We are creating new templates each day to add to the mix, so that you can get up and running quickly. Our modern and clean APIs allow you to receive payment from various methods. 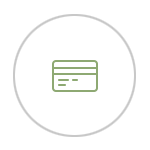 Whether your store needs recurring billing or a one-time payment, our payment processors have got you covered. All transactions are encrypted and secure. You can accept payments with various methods (credit cards, PayPal, bank transfer and many more). Our goal is to make life a whole lot simpler when it comes your online strategy. Decide the kind of site you want - the choice is yours. We have amazing features waiting to be explored such as discount plugins, offers and other exclusive tools. 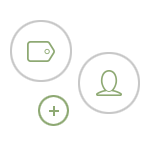 Create promotions, allow member registrations and manage all sorts of cool features using our eCommerce platform. It is something that you can grow with, but is a perfect way for you to get started selling everything from Gift Cards to Gift Baskets! Building a stunning website is one thing; ensuring it appeals to your audience is another factor entirely. Your visitors expect a great browsing experience regardless of what device they use. Our smart and simple websites work on all devices. You can put a featured image, videos or galleries to your posts. Communicating with your customer has never been easier. Enable comments or set a comment approval for your posts. You can keep the legitimate comments on your site, and weed out the unsavory ones with ease. You have social share buttons on each of your posts to enjoy as much exposure as possible. Easily share your site with the world! Our most important goals in E- Commerce are simplicity and smart security. That’s why all Smart 1 Sites and third party domains connected to a website are automatically secured with a SSL certificate at NO Charge! No long, drawn-out process that makes you feel like you are applying for a home loan. Want to know when and how many visits you got each day? Are you using one of our www.smart1ads.com products? Keeping track of your conversions is paramount to your online business. With our surefire web analytics, you’ll be able to know who visited, how many visited, who is buying and why they are buying from you. 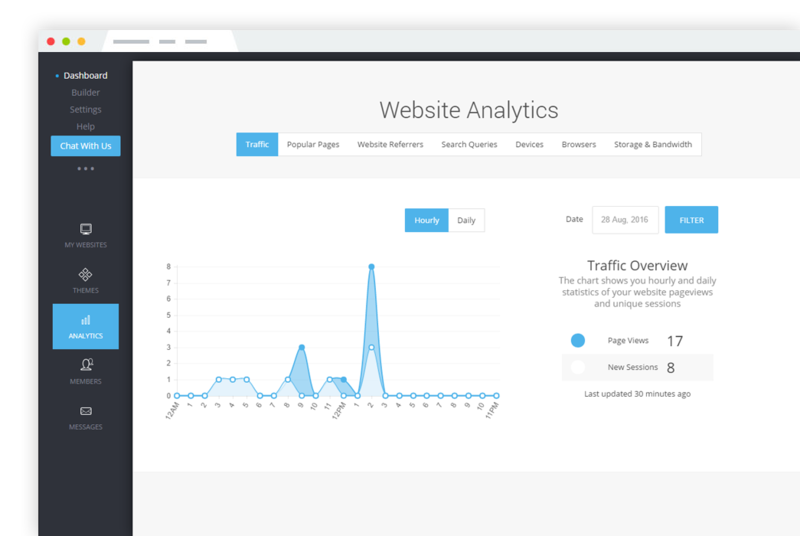 Smart 1 Sites Analytics let you examine your traffic, which are the most popular pages, where your traffic is coming from, what devices are they using and other useful statistics. Let us show you how to market your site the Smart 1 way. We can also add a Google Analytics account for you! Our sole aim is to give you a dynamic presence with a platform to birth your ideas and share your products or services online. Our offers are not limited to just a website builder. We also offer a host of benefits which include secure hosting, domain registration, website maintenance and support. 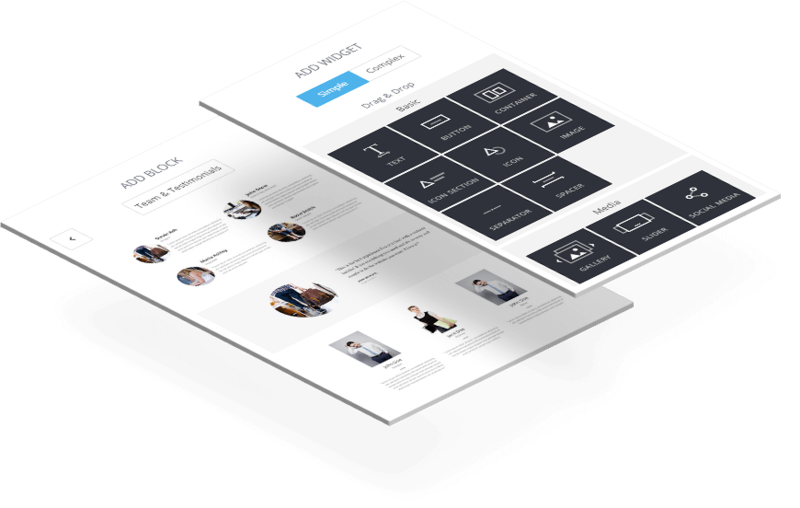 Smart 1 Sites offers a variety of beautifully tailored templates that can fit any business and idea you may have. Enjoy secure and local hosting environment, protected and recognized by search engines. Just enjoy it! You have a business to run, not a website to worry about! Make it your site! 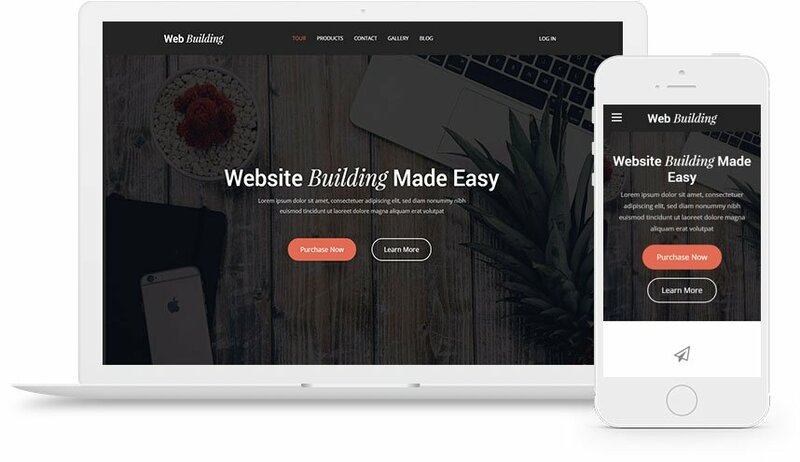 Smart 1 Sites is a simple, easy-to-use drag & drop website builder - we give you full control of a web platform you can tailor to your needs! Need to create different trial versions? It's free! 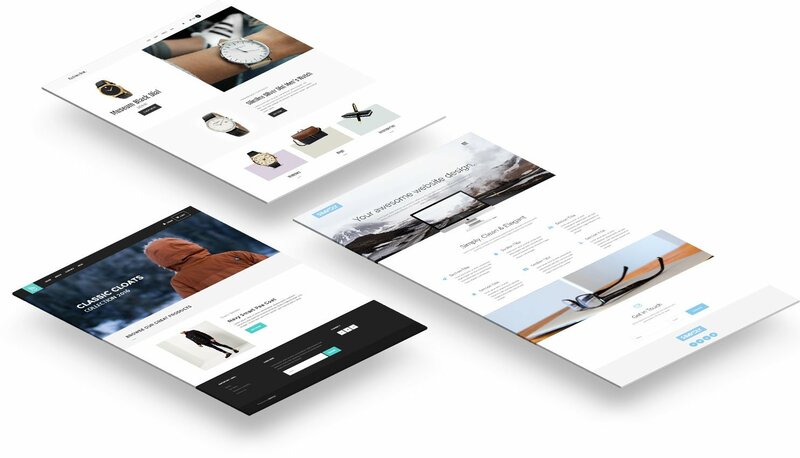 Try different layouts to see which one your customers like best before you subscribe. Connect your custom domain or get a free .COM with an annual subscription. Got a domain - NO PROBLEM - we will work with you to get it to your new site! We are results-driven, proactive and enthusiastic! Our goal is to be a partner in your success! Your Smart 1 Sites website features clean and detailed analytics. Learn about your visits, traffic and much more. Add in Google Analytics so you can see how all your marketing is performing! 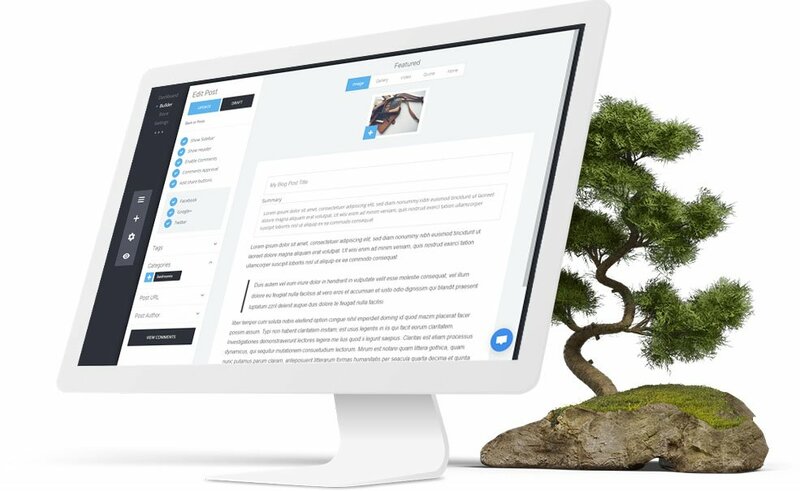 Create, manage, and publish content to your site independently. You control how and when things get changed! 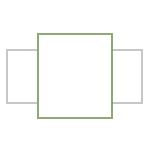 Invite people to help with your project and grant individual access permissions. Let people in your office or organization help you add, edit, and change content as needed. Robust solutions for your online shopping. Create an online store and grow your business in minutes not months! Shopping carts, discounts, secure payments... this gets you started selling your products to the world. Smart 1 Sites themes can fit any idea you may have. Check out some of them and select the best fit. Try them out and see which one works the best for you! Try it for free with a 14 day trial. No credit cards.